Hello beautiful, Do you use a face mist in your skincare regimen? When I first known of the existence of a face mist, it did make me stop for a while and think about if it really worth the money, it makes me feel like an expensive of an aerosol can of water. As of now, almost every single brand of skincare came out with their own version of face mist. Personally I tried it out and do believe that it does has its benefit towards the skin. What can a face mist do? 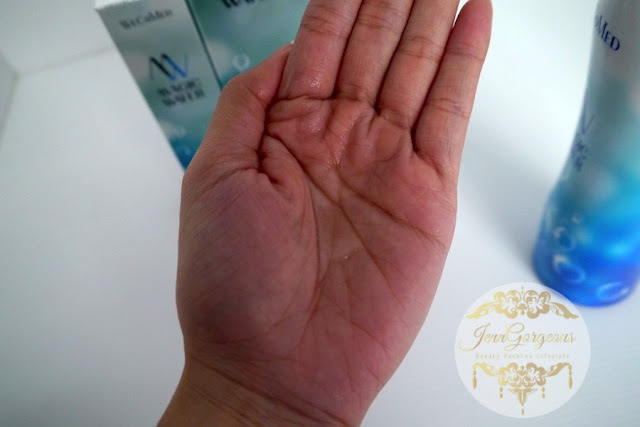 It's great for cooling the skin, to set makeup and refresh makeup look throughout the day. It can also be replacing your toner. But it all depends on the ingredients. 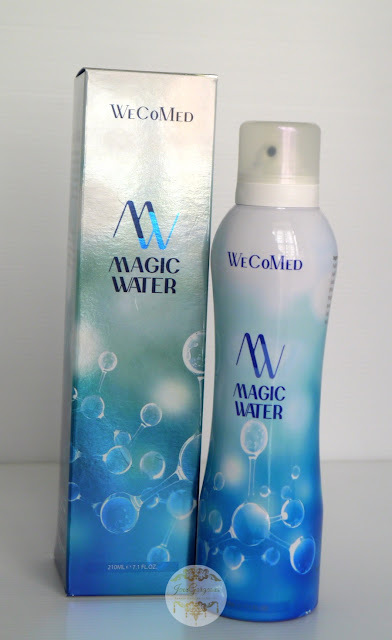 So today's I'm going to review on a face mist called MAGIC WATER. Recently I was invited to Idos Clinic to learn more about Magic water. This is a product from Apex Cosmecutical Technology, It is designed and formulated in Singapore and made in Malaysia. 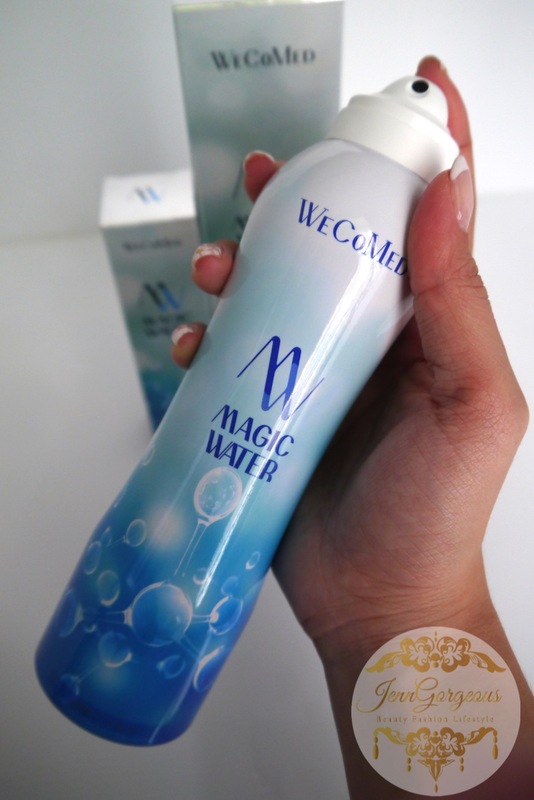 Magic Water claim that it can boost and soothe the skin, promotes skin translucency, creates smoother skin texture brightened up skin tone, reduce fine lines, enhance skin elasticity, and protect skin from the future damage. 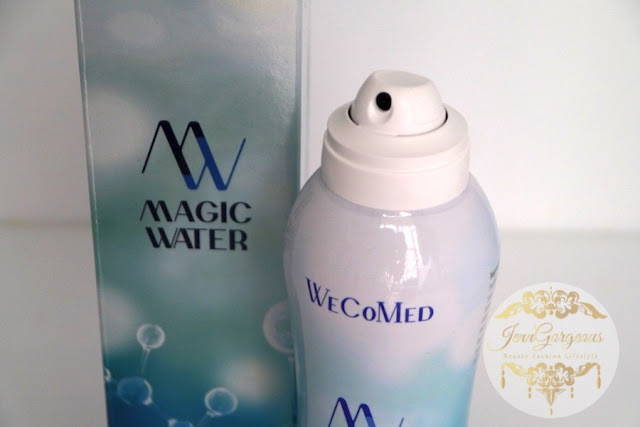 This is because of the natural botanical enzymes and nano-peptides.The size water molecule that comes out is a nano size so it can penetrate much faster than any other face mist. So your skin can absorb all the nutrients much faster. I think thats why they called it to be magic water. Beside that, it doesn't contain paraben and also fragrance. But I do notice that they have Phenoxythenol which act as a preservative for this product. Purified water, Actinidia polygama fruit extract, snail secretion filtrate, Glycyrrhuza Glabra Root Extract, Camellia Sinensis Leaf Extract, Rosmarinus Officinalis Leaf Extract, Magnesium Ascorbyl Phosphate, Centella Asiatica Extract, Chamimilla Recutita Flower Extract, Scutellaria Baicalensis Root Extract, Polygonum Cuspidatum Root Extract, Hyaluronic Acid, Phenoxyethenol, Caprylyl Gylcol. The product is packed in an aerosol bottle. It contains 210ml of product. It is quite big to bring it on the go. Currently they are having a buy 1 free one mini size, so you can bring the mini one everywhere you go. You need to shake it before use. Put it about 15cm away from your face and press it to spray it all over your face. You can use it before and after makeup, morning and night. It is a water based product. This is a fine mist. You just need to spray just a few second, it could be too much and you don't want to have water dripping from your face. if you have acne, sunburn,or redness, this face mist definitely soothing. it can be used any part of the body, I also use it to spray and hydrates my leg. I like to have it around me, especially when it is hot outside.The cooling feeling stays longer than I expected. After I spray it on my face, it didn't leave any stickiness or anything on the face. My skin feel and look refreshed whenever I used it. Just that the aerosol smells so strong that you will notice it when you use it. But the smell won't hurt your skin. This spray bottle gives a fine mist. From what they claim to be, if you have irritation or redness, it is really soothing the skin. It can freshen up my makeup look throughout the day. If you have oily skin with acne, I highly recommend that you give this a try. You face itchiness will be taken good care by this face mist. 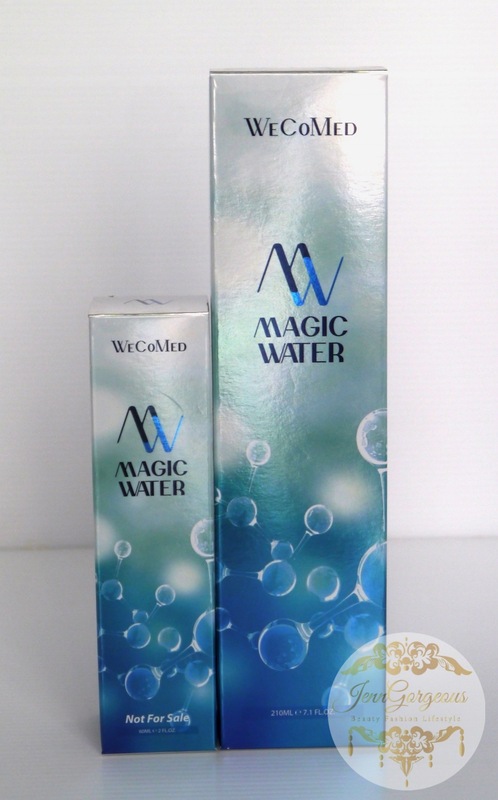 You can purchase Magic water through their website or go to their Ido Clinics outlet.